Omnifilter Refrigerator Filters install behind your refrigerator and improve the taste of your drinking water and ice from your refrigerator. 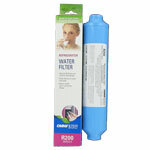 Omnifilter refrigerator cartridge filters remove contaminants that may be in your water. 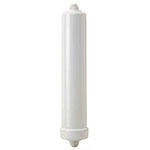 Replace your Omnifilter refrigerator filter cartridge every 6 months. The OmniFilter R200 Refrigerator Icemaker Water Filter provides great tasting ice cubes and water through your refrigerator. The Omni Filter R200 is easy to install using quick connect fittings for use on 1/4 inch plastic tubing or copper pipe. 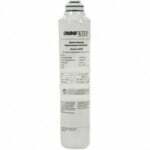 The OmniFilter R400 refrigerator Icemaker Water Filter has been discontinued by the manufacturer and will no longer be available for purchase.